March | 2013 | ___is black the new black? I am not the biggest fan of chocolate cake. Yeah, I know I’m weird. But I was looking for a dessert to make for a dinner party and came across this recipe for a Fallen Chocolate Cake in Bon Appetit. 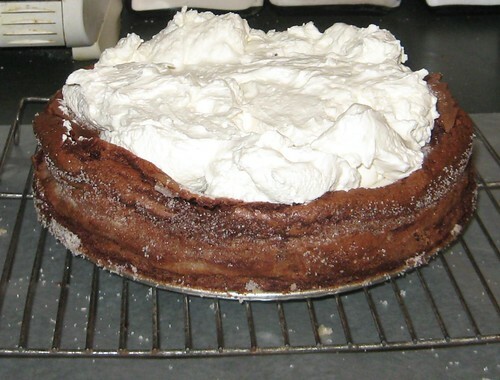 After it cools, you top it with a mixture of mascarpone and whipped cream. Initially I thought this was overkill. 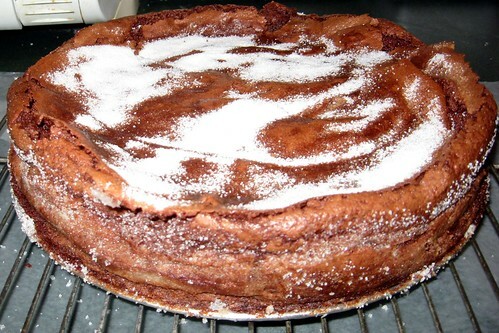 It’s an incredibly rich cake to begin with and now you add not just whipped cream but also mascarpone? In the end though, the mascarpone really works. I think it helps balance it all out somehow. 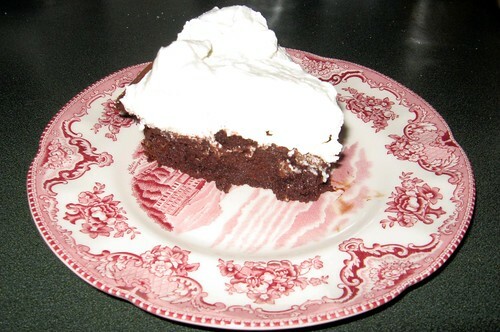 Things I would do differently next time: spend a little more effort hunting down bittersweet chocolate with a higher cacao content; bake it slightly longer so that it would properly crack; possibly add some raspberries for a little color and some lightness. So awhile back, I made my own mustard from scratch. As promised here is a really awesome turkey sandwich made with said mustard. 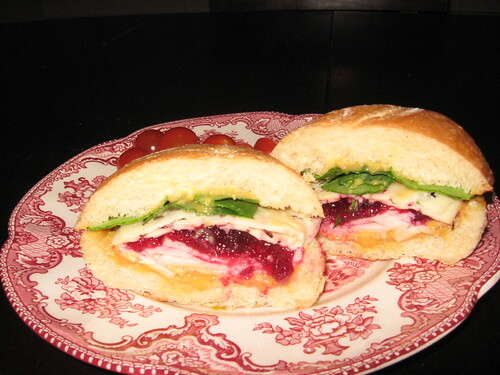 Bakery roll slathered in the mustard, roast turkey breast, my friend’s homemade cranberry sauce, swiss cheese, fresh spinach.